Boxercise combines boxing and exercise in great fun, stress busting activity to suit everyone who wants to enjoy boxing training without getting hit or the elitism of some so called purists. There are over 1.2 Million people in the UK taking Boxercise Classes or doing Boxercise with their Personal Trainer. 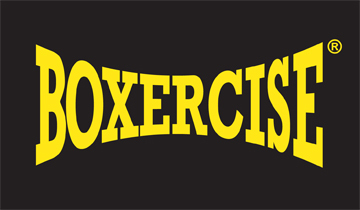 Boxercise is one of the most effective forms of cross-training available today. It combines use of both aerobic and anaerobic energy systems with the systematic recruitment of both fast and slow twitch muscle fibres in a manner that not only ensures a diverse workout, but also enhances sports specific senses, including hand-eye co-ordination, balance and timing. Boxercise classes are always fun, energetic and addictive. How is the Boxercise Class Structured? Sessions vary from week to week to stop you from getting bored - and also to continue to challenge your body allowing you to burn fat and enhance your muscles. Each week I may incorporate some of the following, Circuits, boxing coaching, and maybe some boxaerobics. So one week I might be focusing on your technique and recapping the 8 punches, the next week I might be in FULL ON BEAST mode! Each session will be designed to be FUN, a GREAT workout and ENERGETIC!